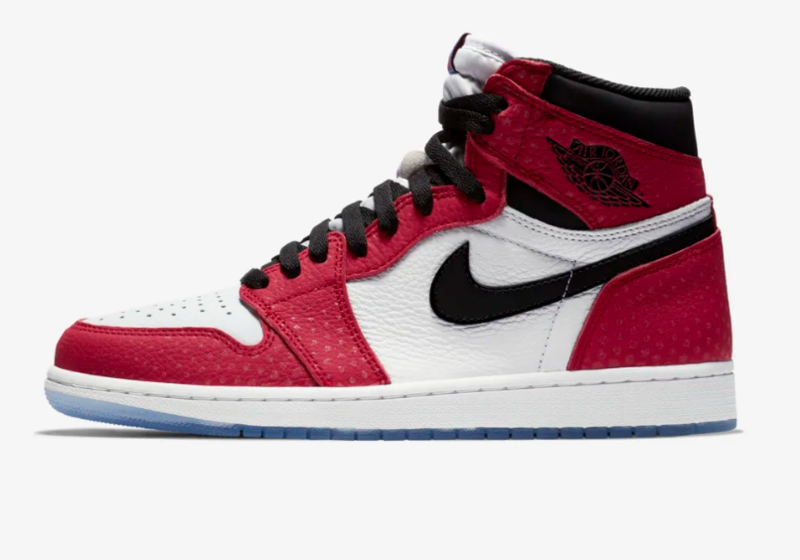 Superhero collabs can be hit and miss, but because this Spiderman iteration of the Air Jordan 1 Retro High is essentially the colourway of the Air Jordan 1 High Retro 'Chicago' and similarly the Off-White Jordan 1 we think is this a must cop. The main points of difference are the clear, icy sole and the little reflective droplets you can see spanning the upper. This is what Nike say. Jordan Brand is celebrating the release of Spider-Man: Into the Spider-Verse with a special edition Air Jordan 1 Retro High OG 'Origin Story'. Matching the pair seen in the film on Miles Morales, this AJ1 puts a twist on a classic colourway. Like Morales' character, the AJ1 is known for defying the norm. Like the mask, the AJ1 can be worn by anyone and empower those who wear it to be heroic.